All of the works listed below are mandatory reading for anyone serious about portfolio management and securities analysis - particularly value investors. When training interns during the summers and bringing new associates on board at our firm, I encourage them to read them, then read them again as one may continually find wisdom from the books even after working decades in the financial profession. I hope you enjoy them as much as I have! 1.) 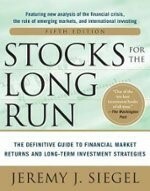 "Stocks for the Long Run: The Definitive Guide to Financial Market Returns and Long-Term Investment Strategies" and "The Future for Investors: Why the Tried and the True Triumphs Over the Bold and the New" by Jeremy Siegel. I've been fortunate enough to meet Dr. Siegel a couple of times including sharing a wonderful dinner with him. Dr. Siegel's work has had a profound impact on my investment process. His research on dividends and companies which sell their tried-and-true products globally in slow-growth, or even declining industries, demonstrates that these firms produce superior performance over companies with new technologies and emerging, higher-growth counties. 2.) 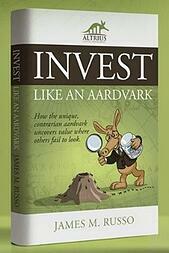 "The Intelligent Investor: The Definitive Book on Value Investing" by Benjamin Graham. This is the bible for value investors though the book is a condensed version of his work Securities Analysis with David Dodd. Graham of course had a large influence on Warren Buffett as he was Buffett's professor at Columbia. Though if held strictly to its core principles today, one would find few companies in which to invest; however, the book displays important processes regarding valuation analysis. The work remains as relevant today as it has since its first publication in 1949. 3.) 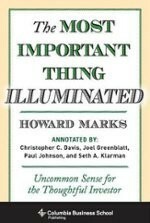 "The Most Important Thing Illuminated: Uncommon Sense for the Thoughtful Investor" by Howard Marks. Marks founded Oaktree Capital Management after leaving TCW responsible for their high yield and distressed debt bonds. I only recently read this book a few years ago and have never read anything near to it in which I more agree believing I was alone in thinking in the manner in which I did regarding distressed issues and value investing. That said, I would couple his work with the caveat of Siegel's which includes dividends as an important aspect of both total return and risk/beta reduction. 4.) 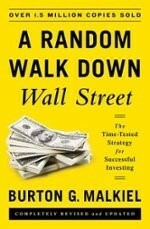 "A Random Walk Down Wall Street: The Time-Tested Strategy for Successful Investing" by Burton Malkiel. This book espouses indexing of which I believe in 49.9% of the argument. However, the other 50.1% of this argument has been shaped by my opinion that markets aren't rational and influenced by emotion. Behavioral finance is now finally gaining some traction on Wall Street and among academics such as Professors Kahneman at Chicago, Ariely at Duke and Odean at Cal Berkeley - all of whom have done extensive work on the subject and also written excellent books. 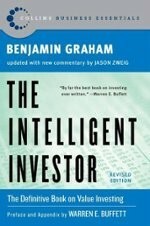 Though espousing indexing, and debunking many investment myths and strategies, Random Walk's material on price to earnings ratios does pay homage to value investing as the only means of potentially beating the market over longer periods of time giving credence toward my leanings toward value investing. Importantly, the book serves as a reminder of the importance of humility and risk management. 5.) 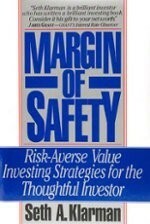 "Margin of Safety: Risk-Averse Value Investing Strategies for the Thoughtful Investor" by Seth Klarman. This book sells for $1,399 on Amazon as it isn't printed anymore, but you may be able to find it cheaper in other venues. It is the book I have most recently re-read and I find myself in agreement with much of the work. Klarman started at Mutual Series which is located a few miles from my home in New Jersey and a long time value shop founded by Max Heine. Heine's protégé Michael Price grew the firm tremendously during the 80's before its sale to Franklin Templeton. 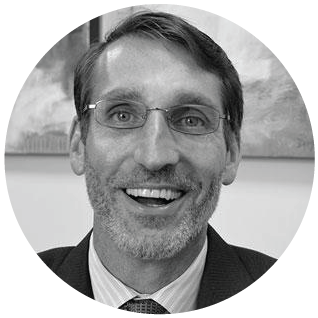 Klarman, who began his career working for Michael Price, has credited Price for teaching him his value process.